Jo has a broad practice that covers the full range of commercial litigation and arbitration undertaken in Chambers. Jo is instructed in cases before the Supreme Court, Court of Appeal and High Court, and in LCIA, ICC and UNCITRAL arbitrations. She has appeared as an advocate in a range of fora, including the Court of Appeal. Recent commercial litigation in which Jo has been instructed includes acting on behalf of the defendant Ingenious Media in group litigation concerning the sale and promotion of its film finance investment scheme; the expedited Commercial Court trial and Court of Appeal hearings in Petrosaudi Oil Services (Venezuela) Ltd v Novo Banco SA and PDVSA  EWCA Civ 9, a dispute concerning allegedly fraudulent demands for $129 milion under a letter of credit; and Signia Wealth v Dauriac (2017, Ch, judgment awaited), a high-profile investment management company dispute. Jo was previously instructed in Cattles Limited v PriceWaterhouseCoopers LLP, acting for the defendant in a £1.6 billion auditor negligence claim. This was one of The Lawyer's top 20 cases for 2015 which settled after opening submissions were filed. Recent arbitration instructions have included Associated British Ports v Tata Steel UK Ltd  EWHC 694 (Ch), a dispute concerning the validity of an arbitration agreement; a US$300+ million UNCITRAL Arbitration against a major national oil company in a dispute under a drilling services contract; LCIA arbitrations relating to floating rate notes and credit insurance; and a US$50+ million ICC arbitration concerning performance of a drilling contract. Before coming to the Bar, Jo taught law at Cambridge, University College London and King’s College London. She read law at Cambridge, graduating with a Starred First, and at Harvard Law School. Rowe v Ingenious Media: acting for the Ingenious Media defendants in relation to the Chancery Division group litigation arising out of the highly publicised film finance investment schemes (with Tim Lord QC and Simon Birt QC). Signia Wealth v Dauriac (2017, Ch, judgment awaited): high-profile investment management company dispute regarding exit provisions and share value (with Thomas Plewman QC and Sarah Ford QC). Petrosaudi Oil Services (Venezuela) Ltd v Novo Banco SA and PDVSA  EWCA Civ 9: acting for Petrosaudi in an expedited Commercial Court trial and subsequent Court of Appeal hearings in relation to a dispute concerning demands for $129 million under a letter of credit (with Jonathan Gaisman QC and Michael Bools QC). 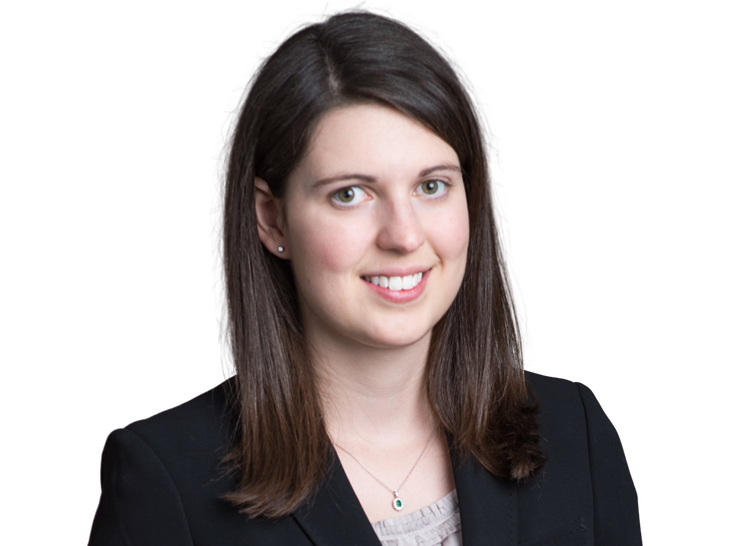 Associated British Ports v Tata Steel UK Ltd  EWHC 694 (Ch) – dispute concerning the validity of an arbitration agreement in a 25 year licence for use of the jetty at Port Talbot Tidal Harbour. A US$300+ million UNCITRAL arbitration against a major national oil company in a dispute under a drilling services contract (with Michael Bools QC). A US$50+ million ICC arbitration under a drilling services agreement (with Richard Lord QC). Cattles Limited v PriceWaterhouseCoopers LLP (Commercial Court): acting for the defendant in a £1.6 billion claim for auditor negligence (with Mark Hapgood QC and Thomas Plewman QC). This was one of The Lawyer's top cases of 2015. Bonhams v Lawson & Ors (Commercial Court): dispute over the auction and ownership of a very rare £10 million racing Ferrari car, one of the world's most expensive classic cars (with Michael Bools QC). Winkler v Shamoon & Ors (Chancery Division): application for a freezing injunction (with Daniel Jowell QC). Malhotra v Malhotra  EWHC 113 (Comm): an action on a cross-undertaking raising issues of reflective loss (with Roger Masefield QC). An LCIA arbitration concerning credit insurance (with Tom Adam QC). An LCIA arbitration relating to floating rate notes allegedly held as security (with Tim Lord QC). An ICC arbitration concerning liability under an IT contract, raising issues of capacity and restitution (with Hilary Heilbron QC and David Scannell). An ad hoc shipping arbitration under the AA 1996 concerning demurrage and alleged wrongful arrest of a vessel (with Richard Lord QC). Lehman Brothers Holdings Inc v Kubber Investments (Commercial Court), an action for an anti-suit injunction and relief pursuant to a loan facility (with Fionn Pilbrow). Jo also regularly advises in cases concerning intellectual property. Her recent instructions have included advising the National Archives on a copyright matter and an action for breach of confidence and copyright infringement. She has particular expertise in matters concerning computer software and the internet. Prior to coming to the Bar, Jo taught contract law. She also spent three months working in the litigation department at Cravath, Swaine & Moore LLP. Jo regularly advises in cases concerning intellectual property. Her recent instructions have included advising the National Archives on a copyright matter and an action for breach of confidence and copyright infringement. She has particular expertise in matters concerning computer software and the internet. Jo has published articles on trade mark law as well as presenting a paper at OHIM. Jo has previously been instructed to act in a matter concerning the European Arrest Warrant scheme. Prior to coming to the Bar, Jo interned in 2009 with the Legal Advisers at the Foreign and Commonwealth Office. She also worked for the Harvard International Human Rights Clinic in 2011. The latter role involved working with Human Rights Watch advocating reform of the law on incendiary weapons and cluster munitions. Jo is interested in all areas of public international law, and particularly in international humanitarian law.